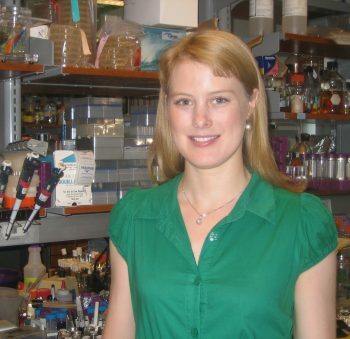 After graduating from Trinity College, Dr Hyland moved to the US and obtained her PhD in Molecular Biology and Genetics at the Johns Hopkins University, working with Prof Jef Boeke in the center for High-throughput Biology. The focus of her PhD thesis was probing the multifaceted functions of the Saccharomyces cerevisiae nucleosome through histone mutagenesis. Edel was interested in how the structure of the nucleosome impacted cellular functions such as cell cycle progression, heterochromatin formation and gene expression. Upon obtaining her PhD she moved to Harvard University to work with Prof Andrew Murray in the Department of Systems Biology. At Harvard Edel was interested in the molecular details of how organisms evolve and studied plasmid incompatibility as a model system for the interplay between genotype, phenotype and fitness. Edel’s current interests lie in using both bioinformatics and experimental evolution to ask whether epigenetic phenomena have influenced eukaryotic evolution. Edel worked with us to experimentally test our predictions of positive selection in human and mouse innate immune system genes. Edel is now an academic at Queen’s University Belfast where she has set up her independent research group in yeast experimental evolution and epigenetics.